Please contact the owner directly @ 251-510-0254 or hugho2222@gmail.com. 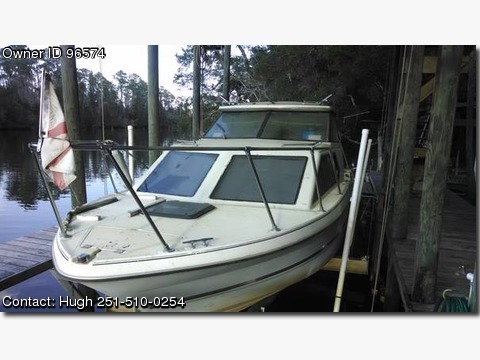 93 Bayliner Cierra classic 2452 model hard top. 307 ci. Has V-berth up front, bathroom, sleeps 4 in cabin. Has trailer and complete canvas to enclose entire upper deck. It is closed water system with only antifreeze in the engine. Needs some cleaning and shifter work. Lost my wife and lost interest in the boat as it is just not as much fun as it used to be without her. Might consider trade for a houseboat or such. Shifter cable stuck, will sell under blue book of well over $13,000. Nice economical cruiser and trailerable! Not interested in someone selling it for me so please don't waste your time or mine.